Its a perfect fall weekend, come explore the corn maze and ol'susquehanna mine. There is plenty to do at the mine site,jump around in a 30 ' inflatable bouncie pumpkin, play horseshoes, eat a picnic in our beautiful picnic grove, or explore the Ol' Susquehanna Mine! JACKSONVILLE, Fla. - September 25, 2013 - CSX Corporation (NYSE:CSX) announced that the company was recognized on the CDP S&P 500 Carbon Performance Leadership Index and was included among just five industrial companies worldwide in the CDP Global 500 Climate Performance Leadership Index. These distinctions highlight CSX's steadfast commitment to reducing carbon emissions and fuel use. "Environmental responsibility and accountability are part of the fabric of our daily operations," says Michael Ward, CSX chairman, president and chief executive officer. "As our business grows, so does our investment in sustainable operations and efficient technology. CSX is proud to be recognized for its efforts and will continue to make the environment a priority for the sustainable future of the company and the benefit of those we serve." The 2013 CDP S&P 500 report prominently features CSX's National Gateway project, an $850 million public-private rail infrastructure and intermodal terminal capacity project that is projected to eliminate up to 20 million tons of carbon emissions and save nearly 2 billion gallons of fuel. Intermodal shipments now make up nearly 40 percent of the company's shipments by volume and capitalize on the environmental efficiency of freight rail. CSX raised its performance score among S&P 500 industrial companies from a B to an A, and was the only railroad recognized among five industrial companies on the Climate Performance Leadership Index (CPLI). The CPLI recognizes those companies with superior emissions performance. Paul Simpson, CEO of CDP, comments, "Natural resource scarcity is intensifying, the scientific case for action to mitigate climate change is strengthening and the number of investors requesting corporate action on climate change through CDP is continually increasing. We congratulate companies in the Climate Performance Leadership Index for their pioneering efforts to combat climate change and grow low carbon economies at this critical time." On the 2013 Global Climate Performance Leadership Index, which evaluates the sustainability efforts and successes of the world's 500 largest companies, CSX received the ninth highest score among 40 industrial companies. Scoring for the CDP rankings is based on voluntary disclosure related to greenhouse gas emissions, emissions reduction targets and approaches to reducing climate-related risks and capitalizing on opportunities. This year marks the sixth time CSX has participated in the annual survey, which helps consumers and shareholders better understand the sustainability strategies implemented by major companies. CDP represents 722 institutional investors with $87 trillion in assets. JACKSONVILLE, Fla. - September 25, 2013 - CSX Transportation has announced that Bob Frulla is the new vice president of transportation for the Northern Region. Frulla succeeds Gary Bethel, who is retiring after 43 distinguished years with CSX. Reporting to Cindy Sanborn, vice president and chief transportation officer, Frulla will be responsible for overseeing CSX operations in Indiana, Illinois, Maryland, New York and Ohio. He previously served as division manager in Huntington, W.Va., and has been with the company for more than two decades. He has also served as division manager in Jacksonville and Atlanta, and has managed network operations in Jacksonville where he has returned. "Bob has been an outstanding leader throughout his career at CSX," Sanborn said. "Under his management, we have significantly grown our local presence in key geographies, and we look forward to applying that expertise to the entire Northern Region." Sanborn also praised the contributions of Bethel, who early in his career served in front-line positions that included locomotive engineer, terminal trainmaster and terminal superintendent. Later, he served as division manager in Atlanta, Indianapolis and Jacksonville. "Gary is well known throughout the CSX network as a dynamic leader and trusted mentor," Sanborn said. "His unwavering commitment and strategic guidance have been tremendous assets that will certainly be missed." One of many Marine Corp Detachments that was marching in the 32nd John Basilone Parade stands at parade rest while the remainder of their unit is on the other side of the tracks waiting for this NJT train to pass on the Raritan Valley Line. Every September, Raritan (NJ) holds this parade to honor John Basilone, their hometown son. He is the only Marine to have an annual parade in his honor. USMC Gunnery Sargent John Basilone, nicknamed "Manila John", was the only enlisted Marine to be awarded the Congressional Medal of Honor, the Navy Cross and Purple Heart. His Medal of Honor was awarded for his actions on Guadalcanal during WW II in October 24 and 25, 1942. After participating in a war bond tour in the United States, he returned to combat and was killed in action on February 19, 1945. Raritan's parade represents a nice way to honor all of our servicemen and women, both past and present. 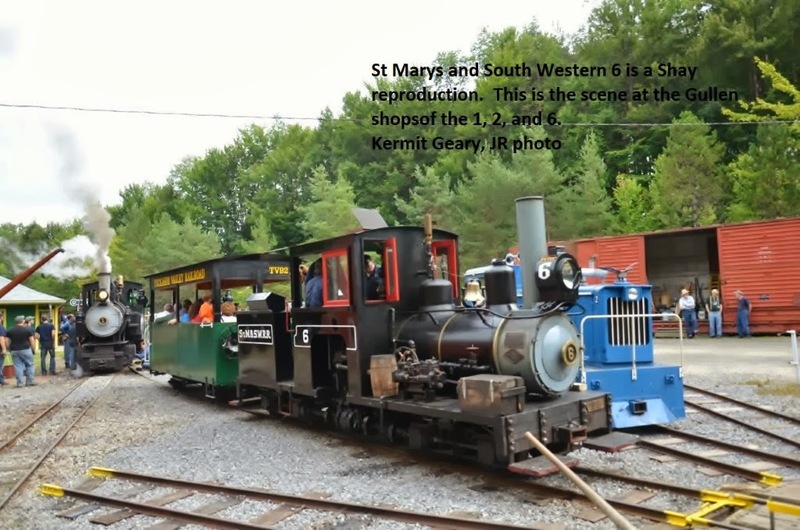 The New York Society of Model Engineers will be hosting a Slide Show covering the New York and Long Branch RR by noted rail photographer Rich Taylor. Numerous, never before seen slides, taken by Mr. Taylor and historic photos from his collection will be presented. This is your chance to see this great railroad in operation. While presenting his show Rich will be discussing the history, facilities, and operations of this famous road. 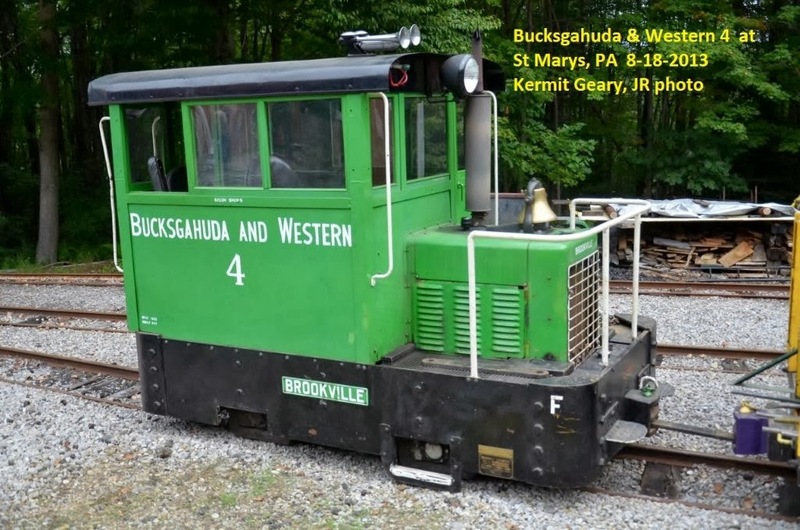 Don't miss the opportunity to learn about this unique railroad operated by both the Pennsylvanian Railroad and the Central Railroad of New Jersey. It is now part of New Jersey Transit’s North Jersey Coast Line. NYSME HQ to larger location permitting even more people to attend. One block from downtown Rutherford . If you know where the Giants and Jets play. The location is only 1 mile away. Founded in the early part of the 20th. Century and incorporated in 1926, the New York Society of Model Engineers is the oldest Model Railroad Club in America and possibly the oldest in the world. Located within our 5,000 square foot building are two large model train layouts, "HO" and "O" Scale, a fully equipped machine shop and large research library. The Society is located at 341 Hoboken Road, Carlstadt, NJ. This is less than one mile from the New Jersey Sports Complex and MetLife Stadium. Visit the Corn Maze at Pumpkin Junction! Received the following via email from the Black River & Western. The Corn Maze is Back! 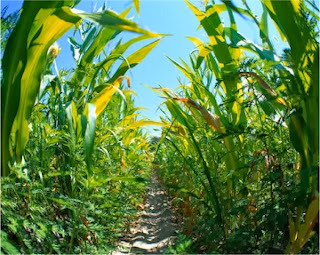 The Corn Maze at Pumpkin Junction opens this weekend! 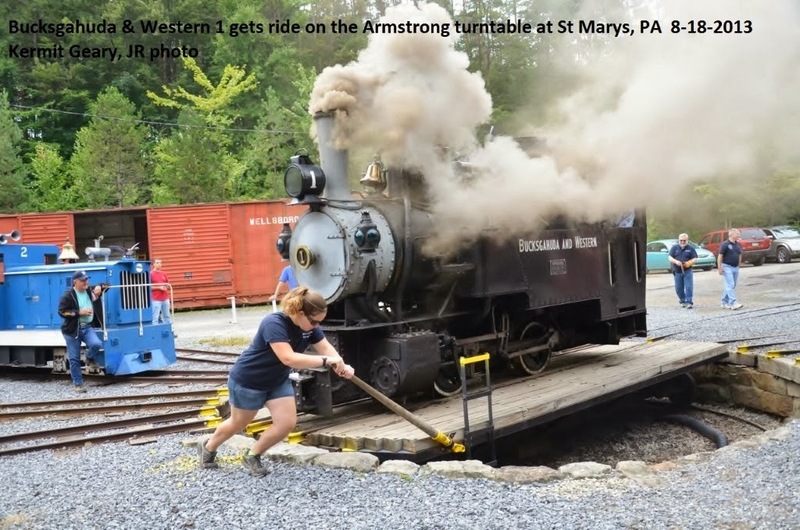 Trains will depart Flemington Station to Pumpkin Junction every Saturday and Sunday from September 28 through October 27. Convenient departures are scheduled throughout the day. Bring the family and ride the train, explore the maze, and pick your pumpkins! Reservations are not offered for this event. Simply arrive at Flemington Station 10-20 minutes prior to your train's departure to purchase your tickets! All trains on Sep 28-29 will be diesel powered. 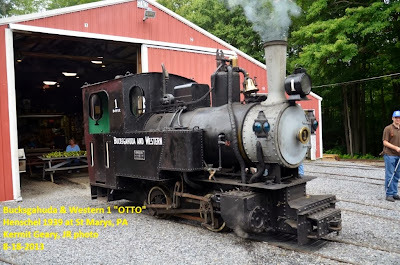 All October maze trains are planned to operate with steam locomotive #60! On Saturdays and Sundays at: 12 PM, 1 PM, 2 PM, 3 PM, 4 PM, 5 PM. Your train ticket purchase includes your train ride to Pumpkin Junction and return, as well as entrance to the maze! Don't forget - Tickets for the North Pole Express are now available - and they're selling fast! Note: St. Marys, PA is about 25 miles north of I-80 and 100 miles east of the Ohio-Pennsylvania border. This is the Bucksgahuda & Western. A privately owned 2-foot gauge rail operation at St Marys, PA. It is open to the public only twice a year. 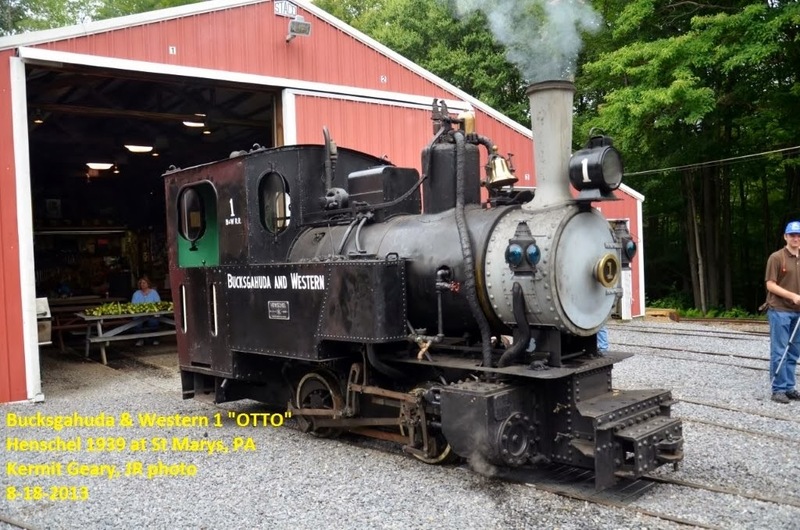 The Star locomotive is the #1...OTTO, a 1939 Henschel. Other units include Vulcans, Plymouths, Brookvilles, and some home built critters. The main-line features a descending grade of 22% and an ascending grade of 12%. It may only be 2 foot and small, but it sounds like awesome. Clyde H. “Jake” Allison Jr., currently vice president and controller, will become vice president audit and compliance in Norfolk. Fredric M. Ehlers, currently vice president network and service management, will become vice president information technology in Atlanta. Jerry W. Hall, currently vice president intermodal operations, will become vice president network and service management in Atlanta. Thomas E. Hurlbut, currently vice president audit and compliance, will become vice president and controller in Norfolk. Denise W. Hutson, currently assistant corporate secretary, will become corporate secretary with headquarters in Norfolk. Alan H. Shaw, currently group vice president chemicals, will become vice president intermodal operations in Norfolk. Thomas G. Werner, currently vice president information technology, will become vice president and treasurer with headquarters in Norfolk. All of the appointments are effective Nov. 1, with the exception of an Oct. 1 effective date for Hutson. Allison joined NS in 1993 as manager internal audit and subsequently served as assistant vice president strategic sourcing, assistant vice president accounting operations, and assistant vice president corporate accounting. In 2009, he was named vice president and controller. Allison holds a degree from Virginia Tech and is a Certified Public Accountant. Ehlers joined Norfolk Southern in 1985 as a management trainee. He served in a number of transportation positions before being named assistant vice president executive in 2004 and vice president customer service in 2007. Ehlers earned degrees from Michigan State University and Queens College. Hurlbut joined Norfolk Southern in 1992 and has held positions of increasing responsibility in the company’s accounting department. He was named assistant vice president internal audit in 2008 and vice president audit and compliance in 2010. He holds a degree from Washington & Lee University and is a Certified Public Accountant. Hutson began her career with Norfolk Southern in 1994 and since 2000 has served in the Corporate Secretary’s department, most recently as assistant corporate secretary. She is a graduate of St. Leo University. Hutson succeeds Howard D. McFadden, who is joining NS’ real estate department in Atlanta as a general attorney. Shaw joined NS in 1994 and has held positions in the finance and marketing departments. He was named group vice president coal marketing in 2008 and group vice president chemicals in 2009. He holds degrees from Virginia Tech. information technology department and was named vice president information technology in 2007. He holds degrees from Princeton University and the Wharton School of the University of Pennsylvania. NORFOLK, VA. – Marta R. Stewart has been named executive vice president and chief financial officer for Norfolk Southern Corp. with headquarters in Norfolk, effective Nov. 1. She will report to NS President James A. Squires. Stewart succeeds John P. Rathbone, who will retire Nov.1, after a 32-year career in the finance and administrative divisions at Norfolk Southern. Stewart joined Norfolk Southern in 1983 and served in several finance positions before being named vice president and controller in 2003 and then vice president and treasurer in 2009. She holds a bachelor’s degree in accounting from The College of William & Mary and is a Certified Public Accountant. Rathbone joined Norfolk Southern predecessor, Norfolk & Western Railway Co., in 1981. He served in several auditing positions before being named vice president and controller in 1992, senior vice president and controller in 2000, executive vice president administration in 2004, and executive vice president finance and chief financial officer in 2012. A native of Alexandria, Va., he earned a bachelor’s degree in history and English from Virginia Tech and is a Certified Public Accountant. Received the following via email. Location is Anchorage, Alaska, date is probably 9-14-13, but the photographer is not identified in the email. Also, the author of the text is unclear. Here we were, last Saturday, approaching a highway overpass departing Anchorage in light fog. This was not the 'tight' bridge for which we actually have to briefly lower the load deck to fit (at a 'crawl') the nearly 2 1/2 stories-tall load beneath. 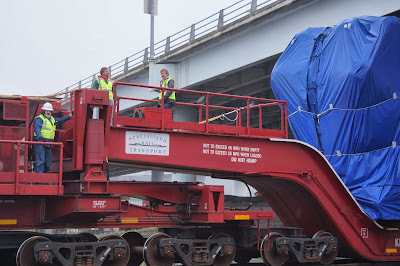 After we get beyond the obstruction, we lift the deck and 630,000-pound load back up to running height and continue on. 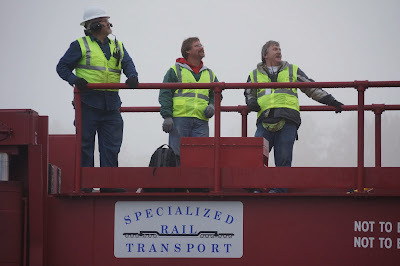 We are normally alone, up on our respective ends of the 20 axle railcar, linked by radio headsets, but on Saturday, I had the company of a hired video crew riding along up there. On Tuesday, they're going to chase the freshly-reloaded (today) car north by helicopter, again. They had two video cameras on the Saturday trip: one large 'news-cam' type for documenting my operating the hydraulic lifting and shifting mechanisms and to interview me; the other was a smaller but still-Hi-Def cam on a 20-foot Fiberglas extension pole. The latter was used to 'fly' the lens along, above, beside and (almost) underneath the car and load. I have seen some out-takes, and it is utterly breathtaking footage of us leaving the urban surroundings of the port and trekking out into the wilderness. It's like strapping a camera to a pigeon that is trained to fly all around the load while moving. Though it was foggy as we headed up to Eklutna after sunup on Saturday, it burned off within an hour. (We saw two bears on an aspen tree next to the Right-of-Way, as we climbed the grade up out of Anchorage.) By that afternoon, it is crystal-clear blue with bright sun illuminating the snow atop Mt. McKinley in shades of pink and orange, visible here from 125 miles away! After I got back to Anchorage with our empty railcar, I went up the hill into downtown and took photos of the fabled (and North America's tallest) mountain, with the iconic Alaska Railroad headquarters building in the foreground. NS coal vessel loading is Virginia's largest. Period. Norfolk Southern coal vessel loading is Virginia’s largest. Period. NORFOLK, VA. – Norfolk Southern’s Pier 6 at Lamberts Point again has loaded a record amount of coal into a single ocean-going vessel. 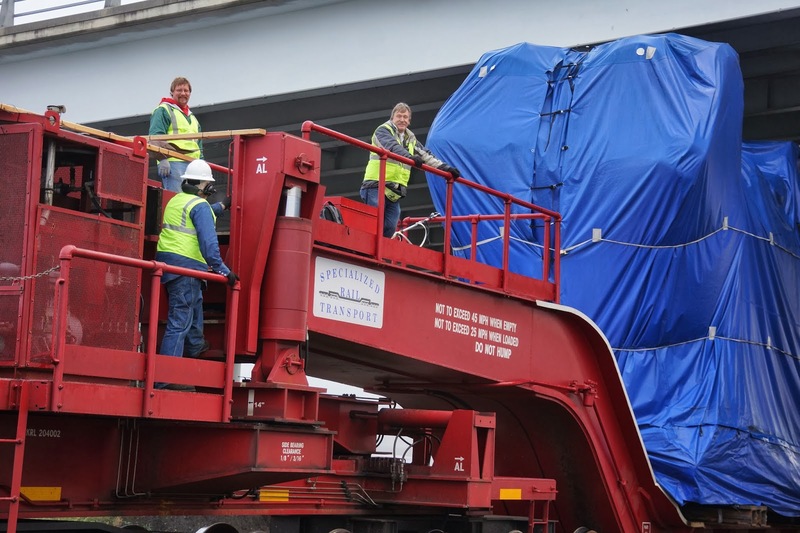 Yesterday, Sept. 17, Norfolk Southern employees finished loading 166,840 net tons, or 151,356 metric tons, of metallurgical coal into the 984-foot M/V China Pioneer, which departed at high tide for Liuzhou Iron and Steel in China, by way of Trinidad. That’s a record for Pier 6 and for the entire Port of Hampton Roads, and it comes just as Pier 6 acknowledges its 50th anniversary today. The coal was shipped by Integrity Coal Sales International in 1,561 railroad coal cars. Anders Williams Resources Inc. was the ship agent/broker. NS set its previous Pier 6 record Jan. 12, 2013, by loading 159,941.45 net tons into the M/V Cape Dover. The previous Port of Hampton Roads record was set Feb. 9, 1992, when Dominion Terminal Associates loaded 163,765 net tons into the M/V Ormond. Norfolk Southern has been transferring coal and coke from railroad cars into ocean-going export and domestic vessels in the Lamberts Point area since 1884, when it opened Pier 1. In the first half of the 1900s, new Piers 2-5 featured improvements in speed and capacity and even loaded coal into a number of famous vessels, such as those used in Admiral Byrd's 1933 Antarctica expedition. Pier 6 opened for business in 1962 as the hemisphere's largest, fastest, and most efficient transload facility. In 1999, Pier 6 dumped its billionth ton of coal and became the only facility in the world to have reached that milestone. In addition to the quantity of its loadings, Pier 6 is known for speed. 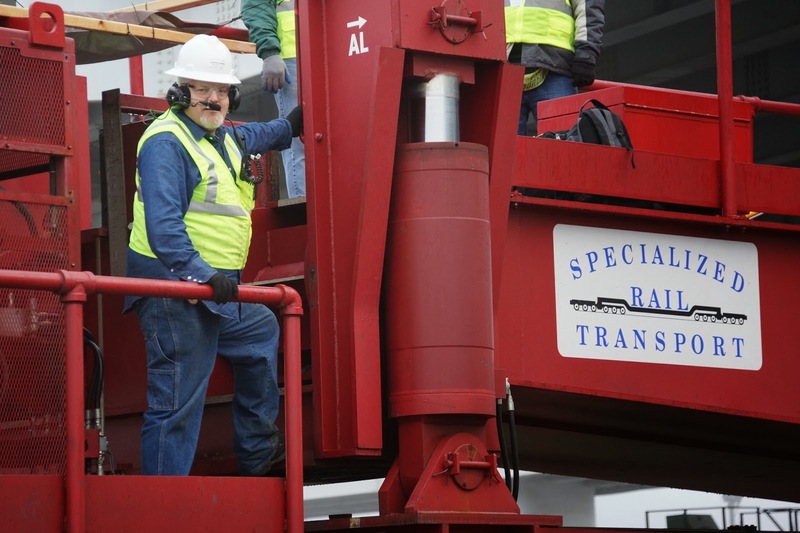 A little known fact is that, because of design specifications, no vessel anywhere can accept coal into its holds as fast as Pier 6 actually can load it. That likely will remain so for the foreseeable future. Most of the coal moving through Pier 6 originates in Southwest Virginia, Southern West Virginia, Eastern Kentucky, and Pennsylvania. It is shipped to several dozen countries as well as to coastwise domestic receivers. Pier 6 is situated with access to Hampton Roads' deep 50-foot channel that allows modern vessels to make productive use of their large holds. JACKSONVILLE, Fla., (September 18, 2013) - CSX Corporation (NYSE: CSX) will release third-quarter financial and operating results on Tuesday, October 15, 2013, after the market close. The company will host an earnings conference call at 8:30 a.m. Eastern Time on Wednesday, October 16, 2013 via teleconference and a live audio webcast. Presentation materials and access to the audio webcast will be available on the company's website at http://investors.csx.com. Following the earnings call, a webcast replay and an MP3 audio file will be archived on the company's website. 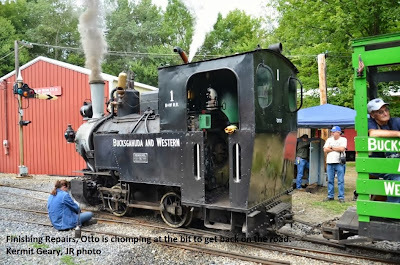 The Great Train Robbery Is This Saturday! The Great Train Robbery: Operates for one day only, September 21. Reservations now available. Trains will be pulled by steam locomotive #60! Corn Maze & Pumpkin Trains: September 28-29, plus every weekend in October. 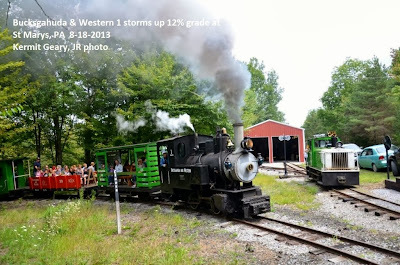 In October, all of these trains will be pulled by steam locomotive #60 (Sep 28-29 will be diesel). The Eerie Limited: October 19. Reservations required; coming soon. The Trick or Treat Train: October 26. Details and reservations coming soon. Saturday September 21, 2013 Keep a watchful eye on your fellow passengers during your round-trip ride between Flemington and Ringoes - you never know who may be a member of the dreaded Covered Bridge Gang! Geared towards younger children, our Great Train Robbery features members of the Covered Bridge Gang taking control of the train only to be apprehended by the Sheriff - but not without the help of his young deputies! Reservations strongly recommended. One day only. All departures are from FLEMINGTON Station. ...that a person should take time to stop and smell the roses! 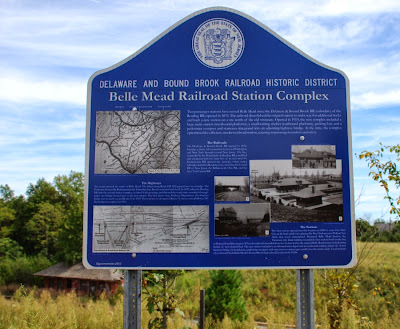 On Sunday's trip down to Belle Mead and CSX's Trenton Line, I made a it a point to read a sign that described the railroad history that was relevant to this area. This sign had been mentioned to me a while back but I never really took the time to read what was on it during all my trips to this location. This sign, erected in 2012 after the new Route 206 bridge was completed, contained a brief history of the stations that were located here. I found both the words and photos very informative, especially the one photo that was taken in 1931. That photo shows landscaped grounds that evidently were well cared for back then when the station was used. Both buildings, a main depot for westbound passengers and a smaller waiting shelter for eastbound passengers, is surrounded by what appears to be concrete walks. After reading that sign I noticed that the block signal indicated a westbound would soon be passing beneath my vantage point on the bridge. Might as well wait and see what was coming. The train in question was CSX's 409 with CSX 838, CSX 8357 and CSX 7586 bringing its consist past two buildings that bear scant evidence as to what was once here on CSX's Trenton Line at MP50. JACKSONVILLE, Fla. - September 16, 2013 - CSX (NYSE:CSX) today announced that the company was named to the Dow Jones Sustainability Index (DJSI) for North America for the third consecutive year. CSX is among three transportation companies recognized by the index for leadership in sustainable business practices. 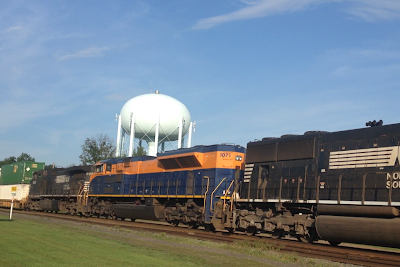 "At CSX, our commitment to sustainable growth is a key driver of our success," said Michael J. Ward, chairman, president and chief executive officer. "We strive to manage our operations responsibly to meet the needs of our customers, protect the environment and to engage in the communities that we serve." 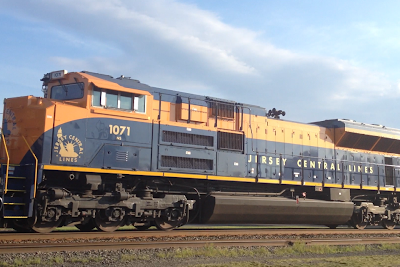 CSX demonstrated strong performance broadly across assessed criteria, specifically in the areas of customer relationship management, climate strategy, and occupational health and safety. Notable CSX accomplishments include improving company-wide fuel efficiency by 2 percent this year and implementing a new waste-reduction program that helped recycle 50,000 tons of material since 2010. During 2012, CSX provided more than $14 million in corporate giving to communities throughout its network and employees logged more than 26,000 volunteer hours. The company is on track to increase corporate giving to $15 million in 2013 and to meet its goal of reducing greenhouse gas emissions intensity by 6 to 8 percent by 2020. The DJSI is a partnership between the Dow Jones Indexes and RobecoSAM Sustainability Assessments, which tracks the financial performance of the world's leading companies according to rigorous economic, environmental and social criteria. Launched in 1999, the DJSI is the first global sustainability benchmark for companies that prioritize environmental sustainability and social responsibility. 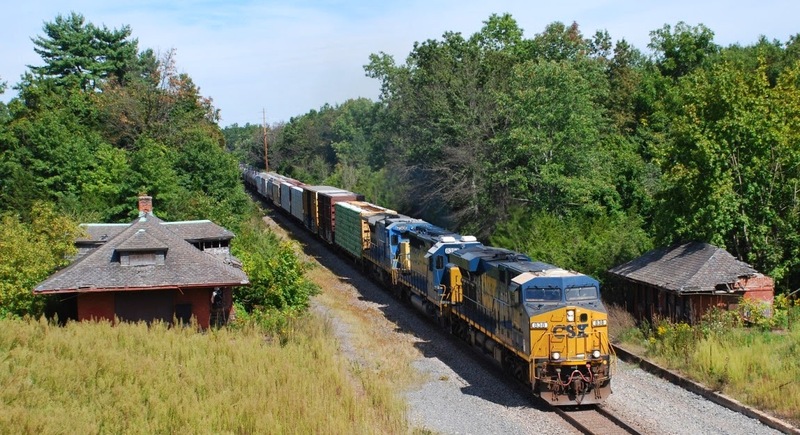 To learn more about CSX's sustainable practices, view the company's most recent Corporate Social Responsibility Report at www.csxcsr.com. More information about the DJSI is available at http://www.sustainability-index.com/. Following information is from the URHS web site. 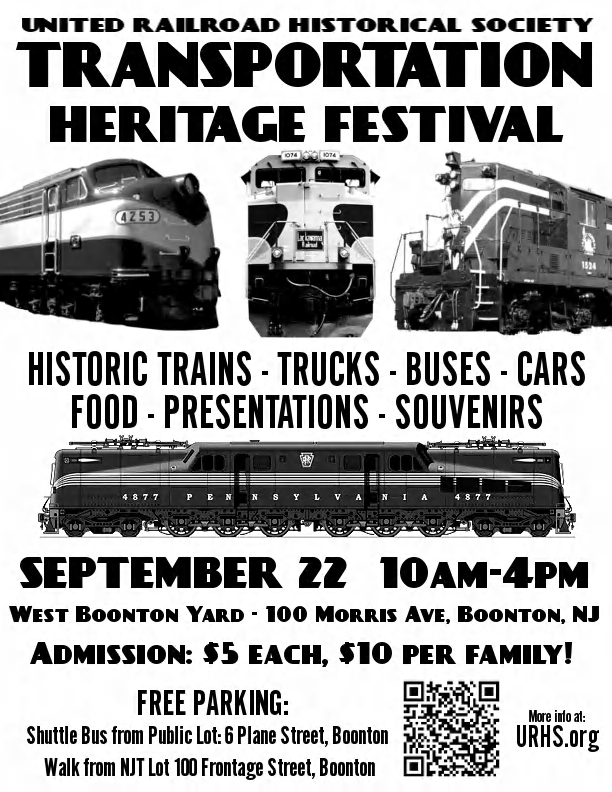 Come join the United Railroad Historical Society for the Annual Transportation Heritage Festival! For the third year, we welcome the public to come and explore our normally private Boonton Yard Restoration Facility. This year promises to be bigger and better than last year with more displays, more equipment, and a special guest! Norfolk Southern's Lacka­wanna Heritage Locomotive #1074 will sit alongside several members of our collection. JACKSONVILLE, Fla. - September 10, 2013 - Fredrik Eliasson, CSX Corporation (NYSE: CSX) executive vice president and chief financial officer, will address the Citi 2013 U.S. and European Industrials Conference in Boston, Tuesday, September 17, at 8:45 a.m. Eastern time. Two down and only eighteen more to go! ...meaning only eighteen more heritage units is all I need to photograph before I have photographed all twenty heritage units! 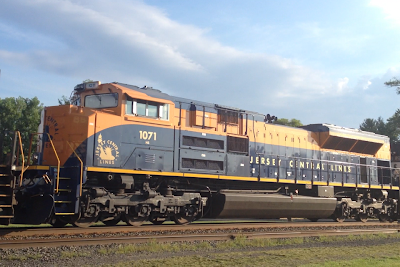 Heritage unit number two was the Penn Central unit photographed at Manville as it was heading west on the NS's Lehigh Line on Monday (September 9) around 5:23. It was the leader on 33K, a Croxton, NJ to Allentown, PA mixed freight. 33K, after working Manville yard, would have to wait at Port Reading Junction for two eastbound trains to pass by before it could proceed west. Received the following photos via email from one of our customers. 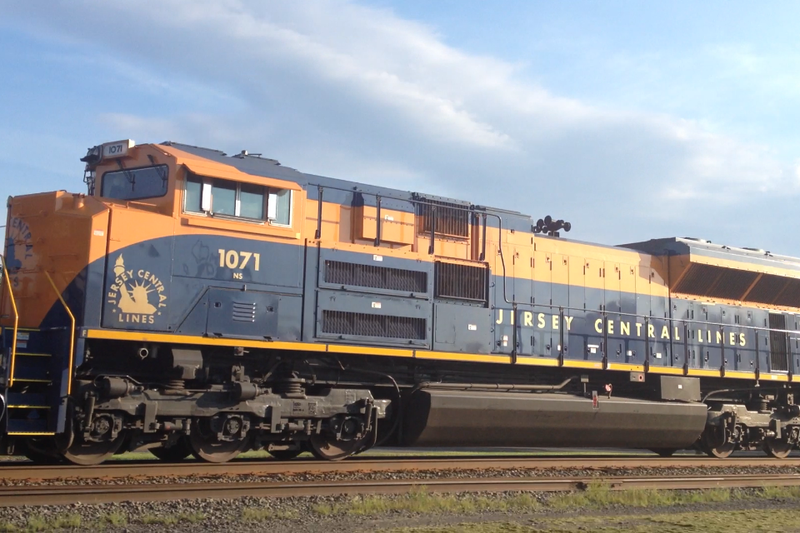 These are pictures of the NS heritage locomotive 1071 - Jersey Central Lines (CNJ) - on the Lehigh High Line in Manville, NJ on 9-5-13. Received the following via email. The photo is from the nscorp.com website. 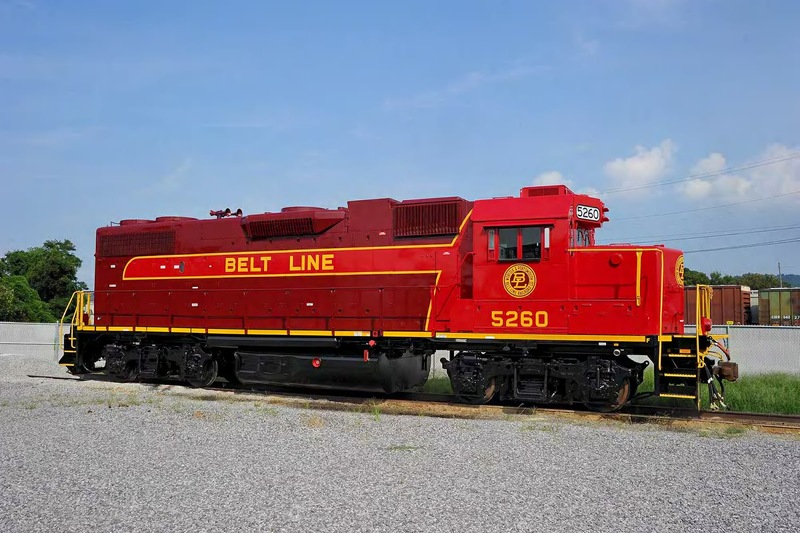 NORFOLK, VA. – The Norfolk and Portsmouth Belt Line Railroad (NPBL), a switching and terminal railroad that serves customers in Norfolk, Chesapeake, and Portsmouth, Va., is celebrating its 115th anniversary this month with receipt of a locomotive painted in the bright red-and-maroon colors used for its first diesel locomotives in the 1950s. 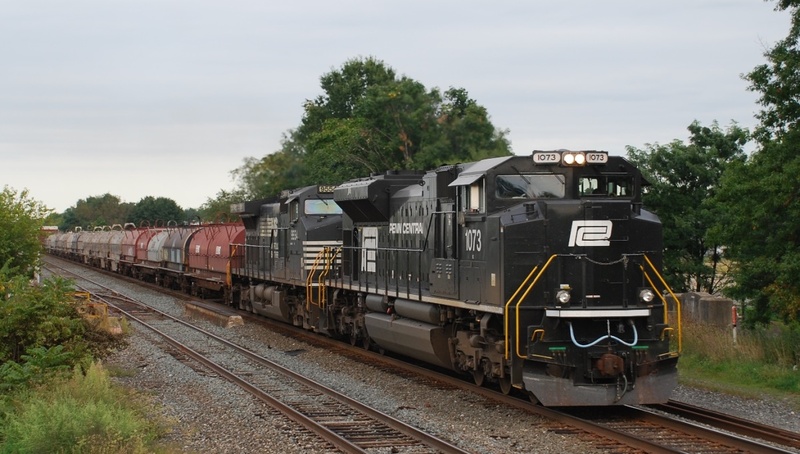 For many years the NPBL, jointly owned by the two Class I railroads that serve the region, Norfolk Southern and CSX, has been using solid black locomotives with simple NPBL stenciling. 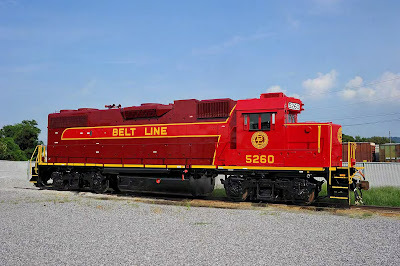 NPBL leases their locomotives from NS, who designed the color scheme and painted NPBL 5260, a GP 38-2. 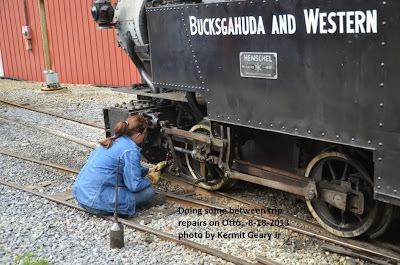 This work was done at NS’ Chattanooga Diesel Shop and will be delivered to NPBL in the upcoming weeks. The inspiration for the vintage color scheme was NS’ wildly popular Heritage Locomotives, a fleet of 20 locomotives that were painted last year in colors based on NS’ predecessor railroads. NPBL owns 34 miles of railroad and has trackage rights over 27.35 miles on Norfolk Southern. Its 33 employees serve 25 customers in South Hampton Roads. One week left. Hurry in. JACKSONVILLE, Fla. - September 5, 2013 - The National Gateway coalition today announced the on-time, on-budget completion of its first phase, which clears the way for double-stack intermodal rail service between CSX's existing terminal in Chambersburg, Pa. and its state-of-the-art hub facility in Northwest Ohio. The National Gateway, an award-winning $850 million public private partnership to create a highly efficient and environmentally-friendly, double-stack cleared rail corridor between the Mid-Atlantic and Midwest, is made possible through a combination of federal and state funds and CSX investment. "Today, we celebrate the efforts of federal and state officials in achieving this milestone, which means more jobs, a more competitive America, and a more environmentally friendly way to move freight," said Michael J. Ward, CSX chairman, president and chief executive officer. "This is great news for our nation's transportation infrastructure, our customers and the communities we serve, and wouldn't be possible without the major investment of time and resources by our federal and state partners. While this is a significant milestone, our work is not done. Working with our public sector partners, we need to finish the job and complete double-stack clearances between Chambersburg and the Ports of Baltimore and Virginia." Since its inception, the National Gateway generated support from governors and scores of public officials across six states, including more than three dozen members of Congress, three port authorities and dozens of global shippers, ocean carriers, business organizations and environmental groups. Public funding for Phase One was supported by a federal TIGER (Transportation Investment Generating Economic Recovery) grant secured by the State of Ohio on behalf of the coalition, and administered by the Eastern Federal Lands Highway Division of the Federal Highway Administration. As one of the nation's largest transportation projects, over a 30 year period, the National Gateway will create more than 50,000 jobs and deliver a host of benefits including reduced fuel consumption, lower emissions, better safety, lower highway maintenance costs and reduced shipping costs. The National Gateway is driving economic growth in areas like Wood County, Ohio, where the recently opened Northwest Ohio Intermodal Terminal employs nearly 300 full-time employees and is handling hundreds of thousands of containers per year. "The National Gateway will stimulate economic activity and boost the United States' competitive edge in the global economy while employing the people who will prepare us to meet future challenges," added Ward. "CSX is proud to support this significant infrastructure investment that will help modernize our transportation system and spur growth." The National Gateway is currently focused on the project's Phase Two, which will double-stack clear the CSX corridor between Chambersburg, Pa. and mid-Atlantic ports. To learn more about the National Gateway, visit www.nationalgateway.org. "The completion of these clearances improves Schneider Intermodal's customer experience while also providing more modal conversion opportunities for shippers. The National Gateway helps deliver our truck-like service commitment by increasing reliability and providing faster intermodal transit." "The National Gateway is a great example of the benefits that public and private organizations can deliver together. As an engineer, I'm proud of the role played by the Commonwealth of Pennsylvania and the many other public partners in this engineering feat that will drive economic growth and development for years to come." "Thanks to the National Gateway project, the most state-of-the art intermodal yard is now located in North Baltimore, Ohio. The intermodal freight connections provided by the National Gateway put Ohio at the hub of moving goods in North America. ORDC is very proud to be a part of this vast public-private partnership that is boosting our nation's economic development potential." "The efficient and effective transportation of goods is essential to ensuring America remains strong in an increasingly competitive global marketplace. Initiatives like the National Gateway will help strengthen Pennsylvania's and the nation's economy by improving the flow of commerce and creating jobs." Australian train accident caused by bugs!